AQHA halter champ, he also accumulated 46.5 western pleasure, 7 hunter under saddle, 6 reining, 3 western riding, & 3 working cow horse points. He sired 119 AQHA Champs. Leading Dam Of: 5- AQHA Champions 3- Superior Performance 2- Superior Halter. Sheza Royal Snippy 1975 AQHA World Show Sr Reining 6th place 1975 AQHA World Show Sr Working Cow Horse 5th place performance ROM Dam of AQHA Champion. 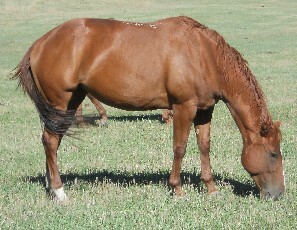 Nice mare that should fit into our breeding program well.